If you’re looking for the evergreen foliage and beautiful foliage color you get with standard nandinas, but don’t have room for the bigger varieties, this dwarf nandina could be the perfect choice. ‘Atropurpurea Nana’ provides all the same intense foliage color but in a fraction of the size of standard nandinas. This compact shrub is perfect planted en masse or used as an accent with other shrubs and perennials. Dwarf nandina reaches only 2-3’ tall and wide at maturity, making it a popular choice for smaller urban lots and even containers. Unlike the typical heavenly bamboo, dwarf nandina has broader leaves and a more compact spherical habit. The foliage color overall is bright green with red-bronze new growth as the season changes. For more intense color, it is recommended to plant this nandina in full sun as it can lose some of its pigment when planted in too much shade. Dwarf nandina rarely produces flowers and berries like its larger relatives. relatives. 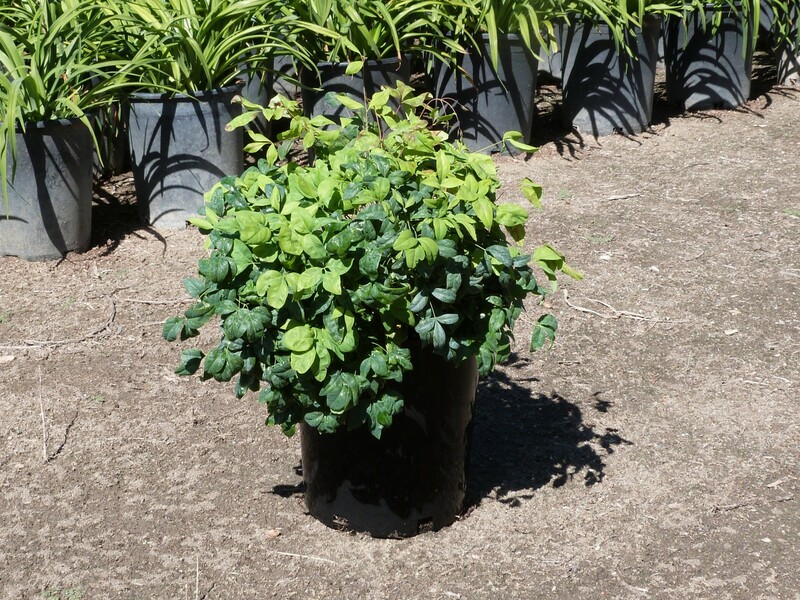 This low maintenance shrub thrives in many soil types, including heavier clay. Dwarf nandina has low water requirements once established and can tolerate heat and pollution; making it a good low-maintenance plant choice for high auto-traffic areas. Like other nandinas, it is mostly disease, pest, and deer resistant.